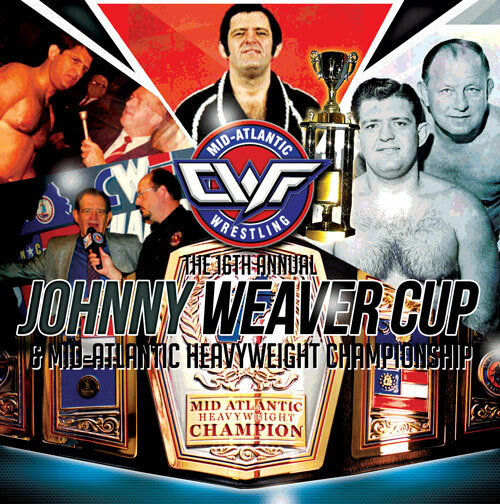 Each year we honor our friend, Johnny Weaver, that impacted the entire wrestling landscape in the Mid-Atlantic region and a friend will we never forget. This year marks the 16th year for the Johnny Weaver Cup. This year will also come with the biggest stakes ever for the Weaver Cup Tournament! 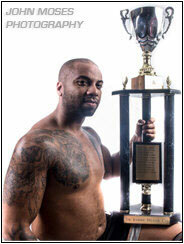 As the winner of the summer long tournament will also be declared the new Mid-Atlantic Heavyweight Champion!!! Trevor Lee, a former Weaver Cup & Kernodle Cup winner, resigned from the championship after announcing his new contract with WWE and moving from North Carolina to Florida to compete on a whole new level. With the title vacated, it was determined the best way to crown a new champion was to include the championship with the prestigious Johnny Weaver Cup. We’ll be announcing entrants as we move to the official first rounds. Every match could factor into who makes the tournament this year and where they will be seeded. However we do already know who will be the #1 seed. As last year’s winner of the Weaver Cup, John Skyler, will receive that premium slot. Skyler had not cashed in his guaranteed shot at the Mid-Atlantic Title before it was vacated. Due to this Skyler was automatically entered into this year’s tournament and given the top spot. Next to be officially announced is also a former Weaver Cup Winner and former Mid-Atlantic Heavyweight Champion, Roy Wilkins! Wilkins was the last to hold the Mid-Atlantic Title as Trevor Lee defeated him for the championship to begin his historic 3-years title run. Wilkins is the current PWI International Champion, and having successfully defended that title this month, grabs the #2 seed for this year’s tournament. Also new this year will be a “Fan’s Choice” entrant! Voting will take place at live events in Gibsonville, NC and will also be cast during the live streams on Twitch! The “Fan’s Choice” will gain a premium seed for the tournament!